Natural lamb fur vest for women. This vest has a simple design but the combination of the three colors make it a special model that will attract all eyes. The vest has two faces, one being the three de color gradient of the mouton fur, on the inside having lamb Nappa leather, resistant to moisture and dirt for perfect protection and comfort. The closing system of this fur vest is represented by three staples, simple and efficient. The length of the vest is medium, providing the necessary support in the cold weather. 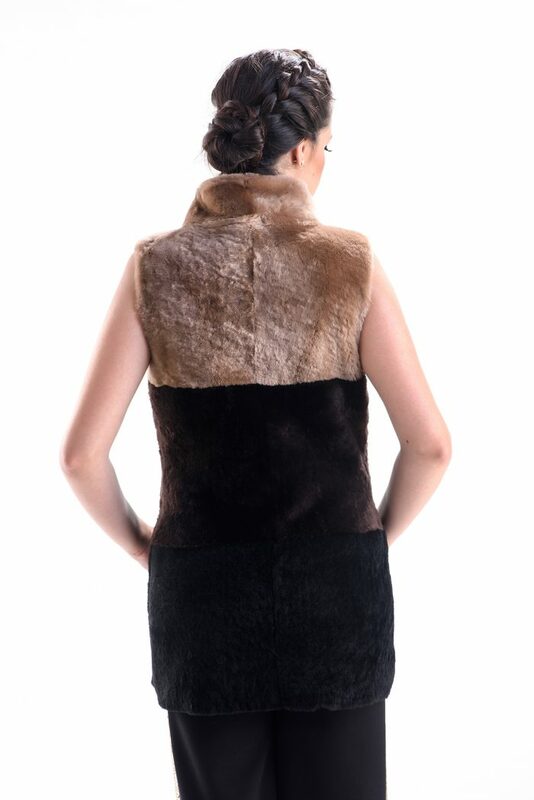 This fur vest has also two side pockets. 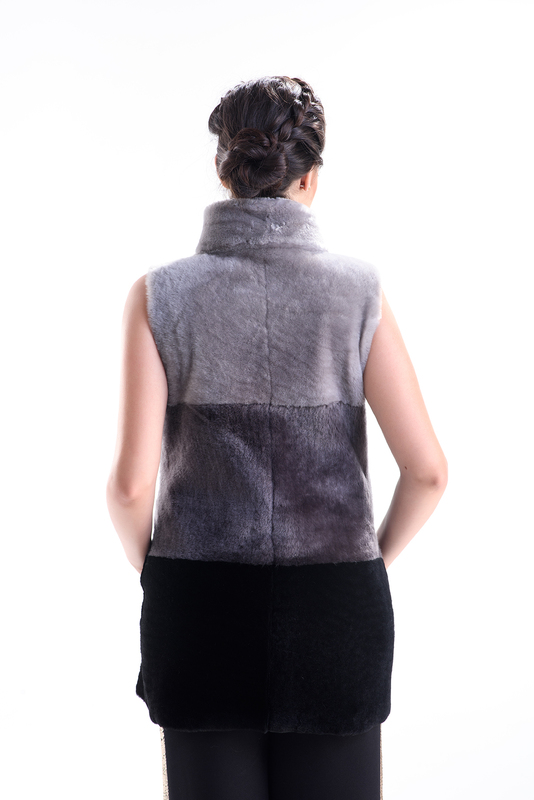 Choose this fur vest to enrich your wardrobe with an exceptional piece of clothing.